Taking photographs in low light is one of those things that is tricky to do but can look amazing. That’s why, at The Insurance Emporium, we put this guide together to help you get some beautiful pictures even when the lighting isn’t at its best. It’s time to get to know your camera’s manual settings a little better and use these tips to get some fantastic low light shots! One of the issues that people encounter when taking photos in low light is that they come out blurry. This is because, if your camera is set to auto, its shutter speed will slow down to allow more light in. If the object you’re taking a photograph of is stationary, you’re light painting or you’re capturing a long exposure then a slower shutter speed could help you capture a fantastic photo. Faster shutter speeds are essential to reduce shaking and capture moving subjects but you’ll need to change other settings to get enough light in the image. One of the ways to capture more light in your photographs and keep your shutter operating quickly is to manually adjust the aperture, or f-number, on your camera. Widening your aperture ensures more light can pass through and means you can get away with a faster shutter speed. Confusingly, however, the lower the f-number, the wider the aperture will be. You might also wish to consider using a lens that can reach a lower f-stop than that of your kit lens. One thing to bear in mind, however, is that a wider aperture can create a shallower depth of field. Another way to allow more light in is to raise the ISO number. However, be aware that if your ISO number is too high then your images can become grainy. It could be worth doing some test shots with your camera and viewing them at 100% on a computer screen to see what works best. Look out for any digital noise starting to appear in your pictures and decide at what point the image quality is sacrificed. Many cameras can still produce good quality images when the ISO is set to up to 1600, while high end cameras might still perform well at 6400 and above. Shoot in RAW rather than JPEG because although this format takes up more memory, it includes so much more information. This gives you a lot more room to play around with your images when you’re editing them with your post-processing software. For example, you’ll be able to reduce highlights and increase shadows easily without making your images too grainy. On top of this, you might be able to add at least two or three more stops of exposure on your camera before you start to compromise the quality of your pictures. Even when you’re taking a photo of something inanimate, it can still be possible for your image to blur when you’re working in low light. This is caused by any of your movements while using the camera hand-held combined with the slower shutter speed. 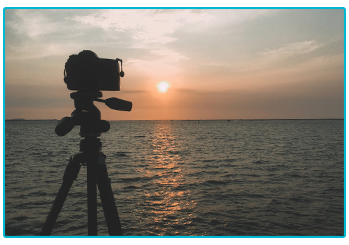 One way to keep your camera steady and avoid this issue is to bring a decent, sturdy tripod. This piece of kit could allow your camera to use slower shutter speeds without having to crank up the ISO or widen the aperture quite as much. They’re also a must for long exposures. Another useful tool to use, if you’re illuminating a subject in a dark scene, is flash. If you’re using a flash gun rather than the pop-up one on your camera, you could bounce the light off a nearby wall or ceiling and potentially use a diffuser too – this could help to make the lighting on your subject less harsh. If you’ve just got the pop-up flash to use then you could manually adjust it so that the light isn’t quite so powerful. It might still be worth playing around with your ISO to determine what works best with flash. 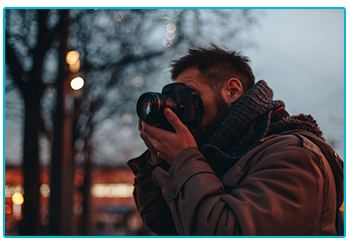 When working your photography magic in low light then these tips could help ensure that you get those perfect pictures! However, decent gear for capturing excellent photos in low light can be very costly. 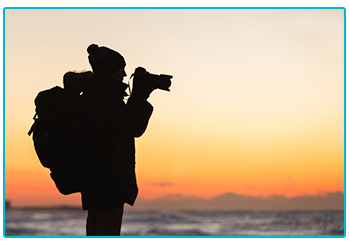 To help protect your investment, it could be worth getting photography equipment insurance. The Insurance Emporium’s camera insurance includes such benefits as New For Old and Worldwide Cover. Plus, new customers get a 25% Introductory Discount*. Why not stop by The Insurance Emporium to find out more? *The 25% Introductory Discount is available on lunar monthly and calendar monthly policies and policies where the premium is paid annually. The Introductory Discount is available for the first 12 premium payments on lunar and calendar monthly policies or one premium payment on annual policies.